Integral to the hit-making SSL sound, the G Bus Compressor is legend for making mixes bigger, more powerful, and punchy, all the while enhancing cohesion and clarity. 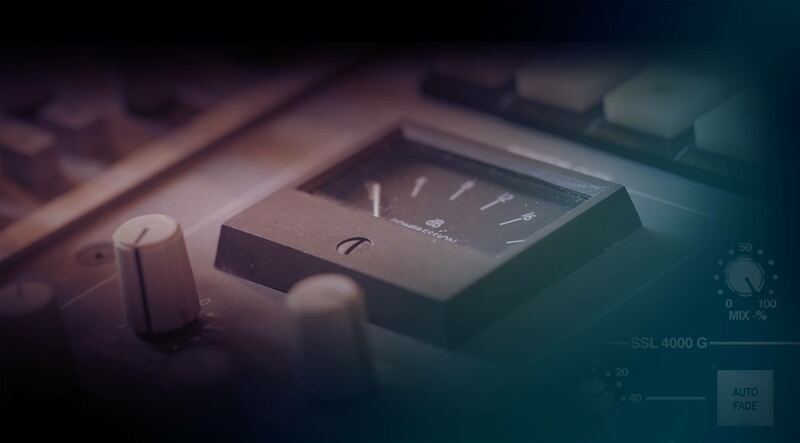 Fully endorsed by Solid State Logic, Universal Audio proudly unveils the SSL 4000 G Bus Compressor Collection for UAD-2 hardware and Apollo interfaces — an expert end-to-end circuit emulation that goes further than UA’s original standard-defining SSL G Bus Compressor plug-in. Embarking on a ground-up re-design of the original SSL G Bus Compressor plug-in, UA’s team of engineers meticulously remodeled every nuance of the in-console and FX G384 rackmount specimens, including their unique CV (control voltage) summing. By capturing all of its circuit behaviors, the new SSL G Bus Compressor plug-in gives you all of the famed SSL hallmarks — punchy, transparent glue, and an ultra-accurate stereo image. From subtle and transparent dynamic control to more aggressive textures with peak limiting, the SSL G Bus Compressor plug-in’s simple, intuitive control set lets you quickly dial in what you need. The fixed Attack and Release controls are SSL-voiced for bus functionality, including the program-dependent Auto Release function. Conjure "barely a wiggle" 2-bus glue, or "bury the needle" full dynamic crush with the continuous Threshold control. New workflow features make the SSL G Bus Compressor Collection even more vital for the modern producer/engineer. The internal Side Chain Filter allows you precise tailoring of low frequency response to reduce low-end “pumping,” while the Mix control provides inline dry/wet processing — perfect for quick parallel compression on a drum or vocal bus. The Headroom control lets you adjust the overall operating level of the plug‑in. Just like the console units, the new SSL G Bus Compressor features the original Auto Fade feature, providing the signature SSL fade taper, up to 60 seconds. With the new SSL G Bus Compressor, plus the included DSP-lite SSL G Bus Compressor Legacy plug-in, you can craft your projects with Platinum‑selling sound.